We have become a prayer less generation! Many Christians do not know what it is like to pray for even 1 hour at a time. 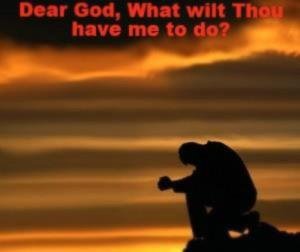 We say that we believe in prayer, but spend so little time on our knees begging God to save America and your Country! We say we believe that God answers prayer, yet are literally SHOCKED whenever WE receive a specific answer. Why? Because many Christians have become Atheistic Believers. We BELIEVE that God can, yet DOUBT that He will move in response to our prayers. • Judson said, “The one concern of the devil is to keep Christians from praying. He fears nothing from our prayer less studies; from our prayer less witnessing; from our prayer less work; YET he trembles when we pray! We Christians put on such a show; lives filled with mere pretense. I am weary of mere talk. We can talk a great game. Christians, America NEEDS us to pray! Revival WILL NOT come apart from the prayers of the Righteous Believer. We MUST Have Revival in America!! America, Please Don’t Wait until it’s too Late! In Luke chapter 16 we read of a poor soul that entered into the School of Prayer immediately upon his arrival in hell! He asked for relief from his pain. But it was too late! He begged Abraham for just one drop of water to cool his tongue for he is tormented by the flames of hell. But it was too late! He earnestly pleaded that someone warn his brothers about hell. But it was too late! He was turned down! I believe that prayerlessness on earth will go unanswered in hell. In the Book of Genesis God used one righteous man that Walked with Him to Warn the World of the judgment He was about to send to a godless, God rejecting society. Noah faithfully preached the message of God, yet not even one person would receive the message from God’s man. No, not even one! The entire world could be saved from the flood! Yet they waited one day too late. The rain fell and eventually the flood waters covered the face of the earth and every man, woman and child died. It was so needless. If only they would have believed and received the message of God. In the Book of Jeremiah, Jeremiah warned the nation about the judgment of God that was about to fall upon them. They, like America, chose to ignore the Call from the Man of God. Yet in the Book of Lamentations, we see the people of God being carried into captivity because of their sins. Hear the cries, the screams, feel their pain as they are now experiencing the fruit of the sin. Feel their pain; experience their loss; above all, learn from their apathy and casual approach to God. Look around you Christian. Don’t say that it cannot happen to America! We must, we must, we must, we MUST have revival in America! This revival can start with you! Will you join me as I am trying to call America back to God? In the book of Jonah an entire city fell to its knees repenting of their sin and God heard their cry and saved each one! This was a city steeped in their sin. This was a city in the Prophet Jonah was hoping would continue in their calloused ways. Yet they repented and experienced the forgiveness of sins. This can happen to your Church, to your City, to your Country, to your Continent. My prayer, burning from the depth of my heart and soul has been, “God save America! When I surrendered to preach 39 years ago, I only asked two things from God than, and I pray them daily now. First, God help me to Win many souls to Jesus Christ. Second, help me to be used of you to Wake up America and save our Nation! I have six Children and 15 Grandchildren at the preaching of this message. I do NOT want to see them experience what the Children of Israel experienced. •	Again, will you join me by Repenting of your sin, as I have done? •	Will you Return unto God as I have done? •	Will you beg God for Revival each day for our nation? •	Will you Rededicate your LIFE unto becoming a Difference-Maker for Jesus Christ and America? In December of 2012 God called me to leave my comfort zone and to focus on winning Souls on Every Continent to Jesus Christ. Let me share my story with you. It all started in early December, 2012 as I was praying for God to lay specific areas of focus upon my heart. I had been praying frequently during a two day period during which time God specifically spoke to my heart about a Global Ministry. I am ashamed, but I laughed out loud, almost uncontrollably. Who was I to engage and embark upon such a massive task? 2. As I was in fervent prayer, a Spiritual Problem was presented to me. The problem was that well over 90% of the world was without Jesus Christ. There remains BILLIONS without the knowledge of Jesus Christ. Another problem God presented to my during this time was that each time my heart would beat, two souls would slip off into eternity. Then the Holy Spirit brought yet three more Scriptures to my mind concerning this grave problem as found in Matthew 9:36-38: “But when he saw the multitudes, he was moved with compassion on them, because they fainted, and were scattered abroad, as sheep having no shepherd. Then saith he unto his disciples, The harvest truly is plenteous, but the labourers are few; Pray ye therefore the Lord of the harvest, that he will send forth labourers into his harvest. This WAS a most serious spiritual problem. 3. After agonizing over this spiritual problem, I soon began to see the Path which was the direction from God, beginning to open my eyes of understanding to His will. 4. As I began to see a bit more clearly what God had in store, this path created a Spiritual Passion with-in my soul. I Corinthians 7:29: “But this I say, brethren, the Time IS Short…” I knew that at age 58 my time was limited. If I live to be 70, I now have 11 years left. I had already lived and traveled through the first three quarters of my life. Then I began begging God to allow me to accomplish more for Him during the final quarter of my life than in the first three quarters combined! Therefore, my life began to change. I now live each day as though it were my last. I must work; I must win souls; I must start Churches all over the World; I must be willing to go wherever the light is the darkest and show all nations the Light of the World, which of course is Jesus Christ! The burning in my soul has created a passion to start Churches all over the World. I have asked my Father to plant at least one Church in EVERY Continent! 5. The passion has led me to a Clear Purpose of God’s plan. It is God’s will that ALL men should Repent of their sins and Receive Jesus Christ as their Savior. Jesus became man’s Substitute and Shed His precious and perfect Blood as payment for EVERY MAN’S sins! II Peter 3:9 emphatically states: “The Lord is not slack concerning his promise, as some men count slackness; but is longsuffering to us-ward, not willing that ANY should perish, but that ALL should come to repentance.” Therefore, I must go with the absolute assurance that I have in the Inerrant, Infallible Word of God, the ONLY Solution to this Great and Grave spiritual problem: Jesus Christ, John 14:6. 6. God’s purpose has led to a continual unfolding of the establishment of Processes which will allow me to accomplish God’s plan. 7. The processes lead to a daily Prioritization. With each day’s activities I focus on those areas of activities which will lead to the accomplishment of God’s will! a. My Prayer is that God would raise up hundreds of Christians which are committed to a Fervency in prayer, and specifically for this ministry. Remember John 15:5? I believe this with all of my heart. b. My Plea is for that of Financial Support. This plea is not really for myself, but for the ministry of reaching lost souls for Jesus Christ! JKM has the responsibility of raising money to purchase flight tickets; needs of just two meals a day; lodging arrangements while on the field. I work day and night on the field. I am truly about my Father’s business of soul-winning; Teaching Pastors; Preaching nearly every day. Therefore I must do ALL that I can WHILE I can! We would say as Christians that we want this will to bear fruit to the effectual pure motive that the Father is glorified. The mechanics of such are not produced by our own ambition or faithfulness but by His workings in our lives. There is a process or formula for this “fruit bearing” and it is found in the immediate preceding text. 1. The text makes it clear in the first few verses that all fruit is the product of the “true vine.” This “true vine” is of course Jesus Christ. This does not simply mean doing things in Christ’s name or for His cause but doing them within the specific bounds of His will. It is a surrender not an ambition. The vine will produce if we are connected to it. If we are in Him we are connected to it. This fruit is the evidence of true salvation not the means of true salvation. 2. It is important to understand that “without me you can do nothing.” This does not mean that we set forth and then pray for God to sanction it. It is not the equivalent of a building permit. Christ wants to be the architect of our lives from the very first blue prints. We cannot get off the ground without His plans for us. We submit to His plans instead of the opposite. Jesus Christ is not looking for people with a great plan but people with a great obedience to what He can do. This does not just mean seeking Him in prayer and the word but being connected to Him by Holy Spirit guidance. It is as if you and Christ have the same will and therefore the same specific desires which produces “much fruit.” These requests are the very heart beat of God. They are not mystic but specific. This is how the Father is glorified. He is glorified because of the magnanimous way He has produced every aspect of the fruit in our lives. We must continually decrease in order to produce this fruit. We must submit to grow. We can’t make this happen. We can only surrender to what He wants to make happen through us. Has the Father been able to produce fruit in your life? 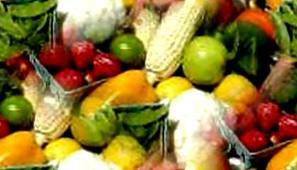 What do you think hinders Christians from bearing ‘much fruit” on a consistent basis? Boring Bible Time? Simple Steps to Transform Your Bible Time from Endurance to Enjoyment! This past week I was asked by 10 – 12 Christians to teach them how to study their Bible. They were all trying to read their Bibles daily, but felt frustrated with the results. Their minds were continually drifting; they could not remember what they read; they did not feel as though they were growing. Does the above describe your “private time” with God and His Word? If so, it does not have to remain this way. There is hope. There are several good ways to read one’s Bible that are very effective. However, I will share a way in which I have studied my Bible for years during my Personal devotions. This method is not earth-shattering, but it is a simple, structured method that keeps me focused on reading and recording certain facts during my Bible time. It is offered here to you to lead you enjoy rather than endure this daily time with the inerrant, infallible Word of God! 1. I start with a time of Prayer. I use the acrostic PRAY to keep me focused. Praise God for Who He is and for What He has done for me! At times I will even sing a few hymns or choruses. 2. As I read, I pause several times to Meditate upon what I am reading. I VISUALIZE: This is where I place myself in the passage or story which I am reading. I see myself as part of the crowd. I PERSONALIZE: For example, if I just read John 3:16: “For God so loved the world that he gave his only begotten Son, that whosoever believeth in him should not perish, but have everlasting life.” Here is an example of how I personalize this great verse on God’s love for the world. For God so loved the world (ME), that he gave his only begotten Son, that whosoever (that if I) believeth in him (that I) should not perish, but have everlasting life. I SCRUTINIZE: Look for the second part of this article coming in a few days. You have some solid steps to transform your time alone with God this week. I ask that you use each phase I listed in this article. 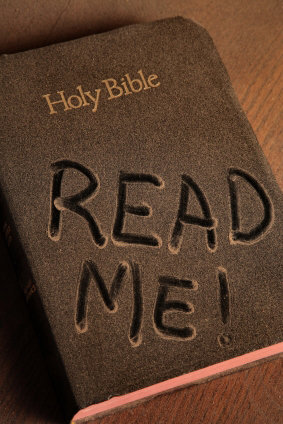 However, you will NOT want to miss the Scrutiny stage as it reveals what I search for every time I read my Bible each day. I use this method regardless of studying for a message or for my personal devotional time. The Bottom Line: I enjoy this time; I am engaged during my Bible study; and I benefit each day!